“You are about to read an extraordinary story” the blurb exalts. Usually if this were the first thing I hear about a book, I would dismiss it – extraordinary? We’ll see about that! 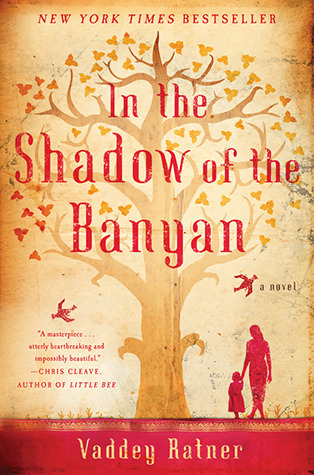 But the setting intrigued, especially since I’ve been on a Southeast Asia reading track for a while now. So I waded in, cautious. However, I soon fell in the story of seven-year-old Raami and her family. For it is some story. From the first chapters of their privileged royal lives, looked after by servants, feasting on everyday banquets of food in their mansion. To the sudden forced removal from their homes, not just the royals but every one in Phnom Phenh. The Organisation (the Khmer Rouge) telling them it will just be a few days, that the Americans will bomb the city. Then in the outskirts, the countryside, they learn that this is to be their new home. Food is to be rationed, everyone including children like Raami are put to work. Intellectuals like Raimi’s father are called up and taken away, never to be seen again. The horrors just keep coming. And yet you cannot stop reading. Perhaps you too are hoping for that rainbow in the sky for Raami. For her to be a child again, happy and innocent and free. The saddest part of all is that while this story is fiction, it was based on the author Vaddey Ratner’s own past. “I became deaf. I became mute. I thought only of the work in front of me. Standing in the paddy, I planted the rice shoots. When eating, I could only think of eating. In sleep, I thought of nothing else. Hunger made my body frail. Many times I was punished for being too lazy. Without rice, I lived on leaves and small animals found in the mud. The tiniest I would swallow at once. Sometimes I would be punished, though I could never know when. It was futile to worry, to think of tomorrow. The life I’d once known was gone, and with it, the people. There was nothing to say, no one left for me to speak of, so I chose not to speak. My copy just came through from the library. I look forward to reading this and I’ll come back and let you know what I think about it later. Glad you like it. I thought this was very impressive as well. I, too, was cautious (intense blurbing, yes!) but it exceeded my expectations, and I enjoyed your review of it also. Ugh I know, I wish they wouldn’t blurb like that. Is there a word for it? Intense-blurbing?